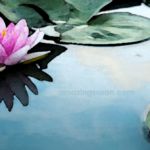 Susan notes: Executive coach, entrepreneur and soon-to-be published author Lynn Harris knows what lies behind the dearth of women in corner offices and boardrooms: a whole bunch of unwritten rules! 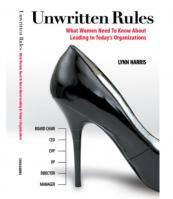 I can’t wait to read her upcoming book Unwritten Rules: What Women Need To Know About Leading In Today’s Organizations (scheduled for release by the end of this year), in which she explains all the ins and outs. In the meantime, she shares some opinions in this guest blog entry…. Every month or so new research appears about women in senior leadership – either there aren’t enough of them, or they’re not being treated on a par with men when they do make it to the top. Two of the most recent examples are the World Economic Forum’s 2009 Gender Gap Report, and a new survey from The Corporate Library on the relative earnings of female CEOs. The Gender Gap report gives a league table of how well countries use their resource of female talent (predictably, not very well for most countries). According to a synopsis of The Corporate Library survey female CEOs (those rare creatures) earn just 58 percent of what males earn; they also get lower bonuses. One might surmise (as some women do when they read these kind of statistics), that there’s some kind of male conspiracy to keep women out of boardrooms and corner offices. I don’t believe that’s so. Men don’t get up in the morning and think, “How can I keep women down today?” At least not any men I know. Most of them just aren’t very interested in the issue. They’re focused on climbing the corporate ladder, and don’t really think gender gaps at the top are that important. So, if it’s not a male conspiracy, why ARE there relatively few women in the upper echelons? It’s tempting to look for single causes: women have lower self-esteem, or women are not genetically programmed to lead, or men are more committed and ambitious for power – the list goes on and on. In fact, media articles that quote new research almost always focus on a single cause for the lack of women at the top. After all, if there were a single reason why more women don’t influence government policy, run academic institutions or lead corporations, it would be relatively easy to assign blame and fix the problem. Unfortunately, for complex issues such as this one, there is never a single point of causality. Simplistic analyses that say women need to be more assertive, more confident or more ambitious, are well intentioned, but misleading. They result in confusing advice for women who want to lead. Women are told, for example, that they need to be more assertive, but not so assertive that they are disliked; they need to be collaborative, but not so friendly that they lack credibility; they need to be more competent than their male colleagues, but in a way that does not threaten them; and they need to be role models for other women, but need to behave more like men to succeed. Women obviously also need a good sense of humor! These rules aren’t explicitly acknowledged in organizations, but we all know they exist. They create a culture or environment in which it is more difficult for women to get to the top, and even to stay there once they have succeeded. The unwritten rules are not part of some dastardly male conspiracy to keep women down. Rather, they are leadership norms that have evolved and become more extreme over time. Unfortunately, they are so firmly entrenched in organizations that they show little signs of changing. What can be done to change this unbalanced status quo? There seems to be a growing movement that recognizes women as a vastly underutilized leadership resource that could lead us back to economic stability, and clean up some of the dubious business practices that have led to the current worldwide economic recession. The Corporate Library’s 2009 Female CEO Pay Survey (which may be purchased here) demonstrates the need for parity at the top, even after women have made it to the corner office. This is unlikely to happen, however, unless we move away from conspiracy theories and singular causes. Better Learn the Unwritten Rules If You Want To Succeed In A Man’s World!